Today we delivered a big beautiful check to UCHC in advance of the auction closings next week. It will be distributed among at least 45 families whose homes are currently in the auction in donations ranging from $500-$1000. 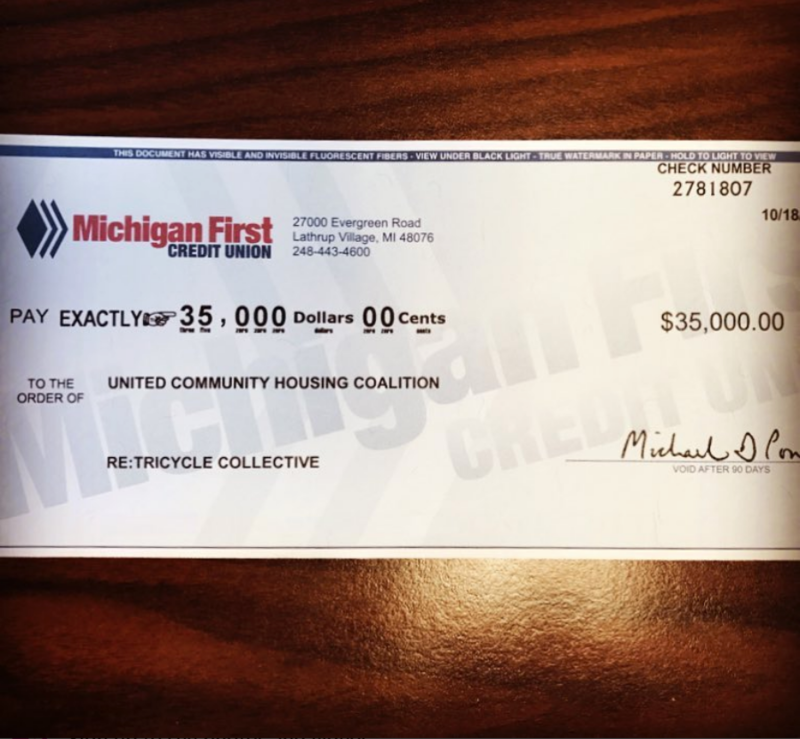 We hope these funds will make the difference for many of these families in determining whether or not they become the owner of the home they already live in. We aren’t naive but we are hopeful and we are proud of all the generosity and support and love that this check represents for all those who have supported this effort! For those of you who donated but haven’t gotten a proper thank-you yet, let this be a sign that we are putting your money to good use!